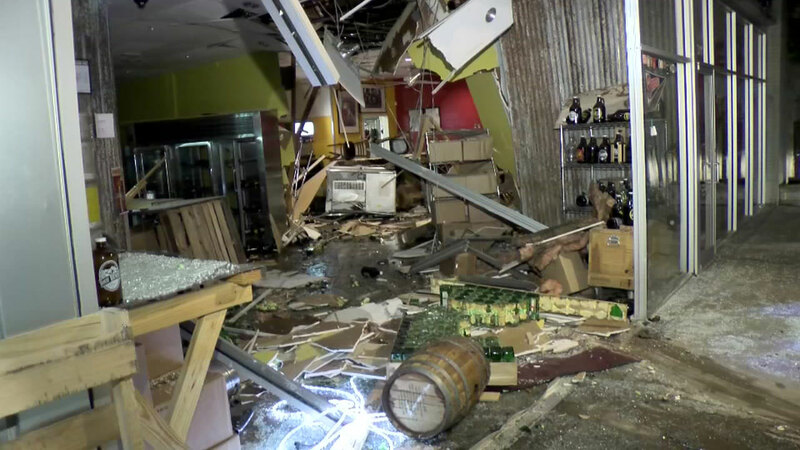 A driver was allegedly speeding when they lost control and crashed into two Houston businesses. HOUSTON (KTRK) -- Two local businesses have a lot to cleaning up to do after a driver crashed into a southwest Houston strip center. Police tell us a driver was speeding down South Shepherd Drive near West Alabama Street when they were side swiped by a car and lost control. The SUV went into the Jugs Draft Store and Jenni's Noodle House. No word on any injuries or possible charges in the case.